These classes are for anyone who is seeking to build mental well-being, healing emotions, expanding self-awareness to exploring or deepening spiritual connectivity. The meditations are guided and may be accompanied by music while you sit on a chair, or a meditation mat and cushion provided. The themes of weekly meditations are determined by the needs of participants who attend and are therefore not tied to a specific rigid program. This enables each meditation to be tailored to the need of the group on the day providing variation from week to week. A meditation class runs for an hour with forty-five minutes of guided meditation and 15 minutes of group discussions and Soul mentoring. This supports and expands self awareness and group connectivity. These classes have been running for over 3 years and have a regular following that has established a caring and supportive network and often have catch-up after classes over a cup of tea that any new comers are welcome to join in. If you are new to meditation you are welcome to attend to experience a class, feel the energy of the space, and meet the facilitators and group of like minded people who attend these classes. We also recommend that if you are new to meditation to consider taking the Meditation and Mindfulness for Beginners Workshop. 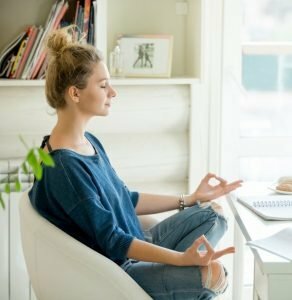 The monthly workshops cover the basis of Meditation and Mindfulness such as its spirituality and ancient history, the science the processes and techniques providing an overview and information of the workings of these practices to maximize the benefits and enjoyment of your invested, time, and energy. This workshop is not clinical based as we acknowledge the spiritual element of our nature as central to the whole process of evolving the Self and well-being. The program combines practical processes of meditation and mindfulness as well as the deeper expansive and holistic element of these practices. Meditation is an inward focus practice that strengthens mental well-being through various consciously applied exercises cultivating mental positivity, resilience, adaptability, flexibility and presence. Mindfulness is the informal application of your learning in your meditation practice to daily living. To transform the way you think affecting the way you live it requires unlearning and re-learning new mind sets, new habits and embracing new ideas. During this workshop we help you to understand the nature of your mind conditions and how to mindfully begin the process of creating new responses countering conditions that are detriment to your wellbeing. An introduction to spirituality is part of building a holistic approach to meditation expanding the fragmented way the human mind experiences life to the connectedness and universal view of how life truly is. Spirituality is the universal aspect of our nature that gradually steps the human mind’s separative way of seeing life to an expanded wholeness to seeing how our thinking relates to our emotions and how they shape our actions and the effect of this process that manifests as our life experiences. Heart connection is central to the practice of meditation and it is here that we can heal core issues that are blocked on an emotional level by combining active intelligence and open heart connection during meditation. A heart and mind alignment is the key to sustaining mental health and wellness as both have a role to play in the decision-making process to the actions we take and the outcomes we experience. Here are just some of the many benefits of a daily practice of Meditation and Mindfulness? Being with people that reflect to you the qualities and lifestyle you desire inspires and strengthens you on your journey and to achieving whatever goals you are working towards. Harnessing the power of group energy and intent is another boost to inner transformation. The combination of personal and group practice enables you to sustain and enjoy the benefits of meditation and mindfulness as well as harnessing the acceleration of growth and stability in your practice through group support and learning from new ideas, knowledge and inspiration experienced in group sharing. Our Centre is five minutes from the Lakeside Joondalup Shopping Centre, train station and the Mitchell freeway with plenty of free parking. To view times, prices and book your seat please click Meditation and Wellness. Booking is essential to reserve your place. If you are unable to attend a class please call 0411199032 or email info@monadcentre.com to credit your booking to another session within the month of your booking. Dress comfortably our Centre has a heating and cooling system. For hygiene reasons please bring a throw rug if you feel the cold as you are lying down or sitting still for an hour. 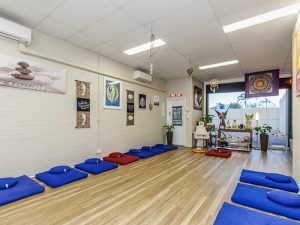 Meditation Mats, cushions and chairs are provided. Bring a water bottle and anything else to personalise your experience i.e. cushion, crystals sacred objects.